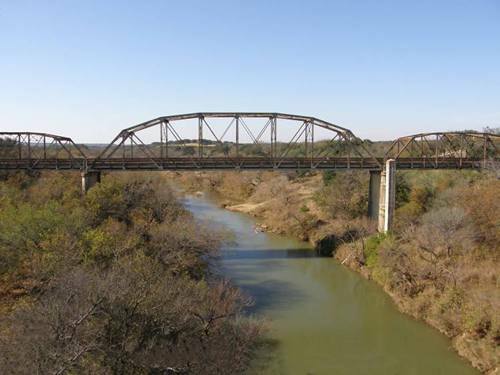 Winchell Texas Colorado River Bridge. 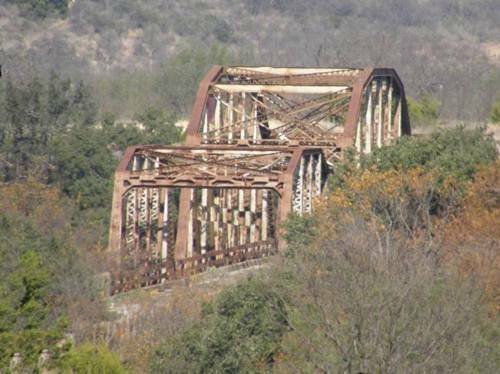 The Winchell Bridge is easily seen from Highway 377 as you cross the Colorado River at Winchell. Connecting McCulloch and Brown counties, this older structure is distinctive for its triple camelback design. Although it was removed from service in 1987, its graceful lines are worth a glance upriver to admire it. 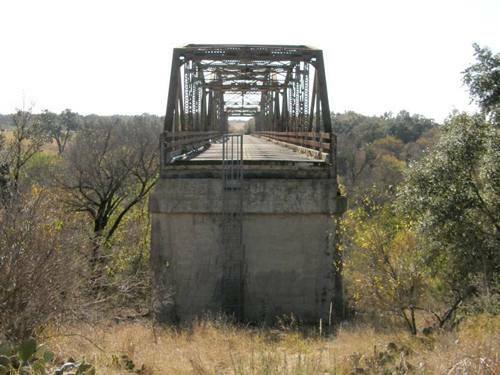 Completed in 1932 by the Austin Bridge Co., the bridge narrowly survived the record high flood of 1936, which washed out the nearby railroad bridge. Designed with three through truss camelback structures, the center truss measures 200’ in length and each end truss is 110’. Including the approaches, the total length was originally 848.2 feet. 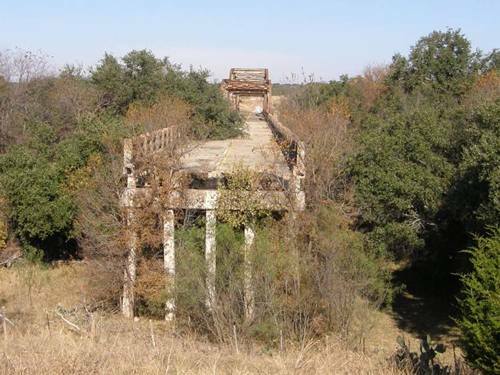 This bridge was condemned in 1987 and a new concrete bridge was built next to it. 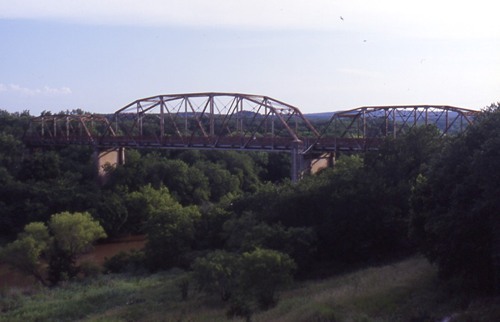 Brown and McCulloch Counties signed a joint maintenance resolution at that time, each county being responsible for repairs to their half, including removal of tall vegetation under the bridge and spot painting to protect bridge joints and cover graffiti. 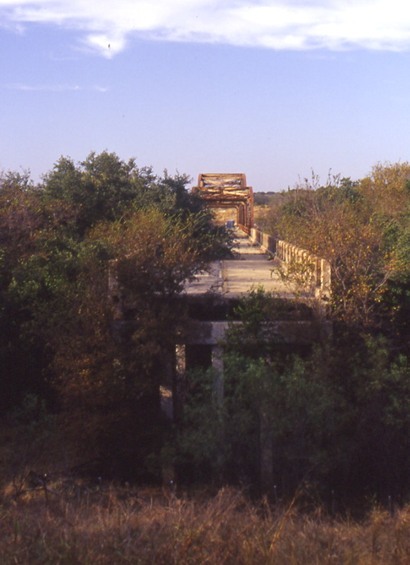 To prevent access to the old structure, about 60 feet of approach was removed from each end. My thanks to Andrew Chisholm, environmental specialist with the Brownwood District Office of the Texas Dept. of Transportation, for his assistance with this article.